At K'(Prime) we offer a broad range of Liquid Chromatography consumables that enable customers to ensure maximum instrument performance and reproducible results. Within our company we provide the products that make a measurable difference. To learn more about our Liquid Chromatography consumables, please get in touch with us by phone or completing our Contact form for more info. We offer a wide range of supplies for operation and maintenance of LC systems. These products have been carefully designed to work with your instruments for maximum performance and uptime. 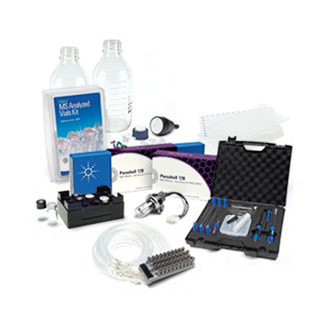 Bio-inert Supplies, General Supplies, Pump Supplies, Autosampler Supplies, Fraction Collector Supplies, Valve Supplies, TTC Supplies, Detector Supplies, LC/MS Supplies and more! HPLC Columns Selection, Cartridge Columns Systems, Columns for Analytical HPLC, Columns for Special Applications, Preparative HPLC Columns and Flash Chromatography, GPC/SEC Columns and Calibrants and more!